Winners have been selected and have received an email. Thanks to all who entered and stay tuned for future giveaways. The random winners are listed below. April 16th, 2015 marks the 2nd anniversary of my PS4Trophies YouTube channel. I want to thank everyone for their continued support and in return for everything you have done for me, I want to give away some games and gift cards in celebration. You only need to be a subscriber of mine on YouTube. You can gain bonus optional entries if you also follow me on Twitter, retweet a specific tweet or follow me on Twitch. Each drop down entry will require you to enter something in a box. For the tweeting about the giveaway entry, you only have to do this for one of the raffles if you’re entering more than one, but make sure to copy and paste your tweet URL in the box on each one you enter. All entries will be verified. There are 4 separate raffles for each of the prize types and you can enter all 4 of them. 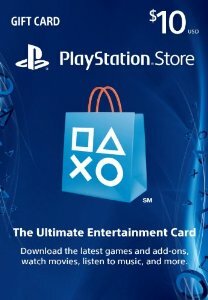 Please note that if you are not a North American store PlayStation user, the only raffle you can enter is Dark Souls 2. There is also one PS3 only raffle which is for Syberia. All entries will be verified and winners will be contacted via email on the 27th. Dying Light raffle is for users of the North American PSN store only. One copy on PS3 and one on PS4 will be given away. This is worldwide. Ethan S was selected for the PS3 version. Winners will be announced on Monday, April 27th. This post will be updated sometime on that day. Winners will be notified via email and winners of the Dark Souls II physical copies will be contacted for a physical mailing address. No purchase is necessary and users who enter more than one YouTube account for a single person will have their entries removed from this and future giveaways. Special thanks to Bandai Namco, From Software, Evolve PR, Techland and WBIE. Congrats on 2 years, Brian!